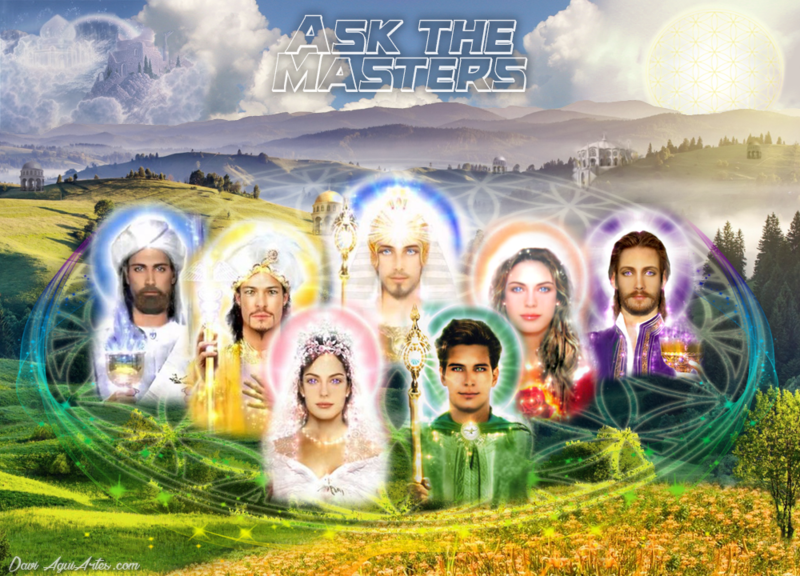 * To send a question to the Masters, go to the website: http://peaceandtransformation.blogspot.com/. The form remains available only on Mondays. HOW DO I PACIFY WITH MY OBSESSOR? Beautiful day, beloved! I would ask for guidance on how to deal with the possible obsession. I went through periods of hallucination that, until now, I find somewhat confused. This obsessor, it seems to me, holds resentments. I would like to know, honestly, how to deal with this situation. How can I pacify myself with this being, if in case the possibility is real? And another thing, I would like to ask about the Archangel Metatron. Is he of good, in fact? With much affection, I await the answer. Thank you for all the love I get. Daughter, at that moment I radiate you in the flame of enlightenment and transformation. I wrap you in light and love. I bring to you the message you must first receive in your heart and allow it to reach your state of understanding, and then be recorded as wisdom in your eternal existence. You have no obsessor other than the impediment of looking at your own restrictions. You have created a restriction for yourself and materialized it in the form of an obsessor, which is actually just a materialized form, in a dimension different from yours, to remind you of something that needs to transcend. You have created a form of alarm for yourself, to affirm for yourself what you do not want to remember or the defects you do not want to accept. This materialized form is your mentor, is your teacher and is teaching you what you need to evolve, so listen with gratitude. Sometimes, even looking in the mirror, materialized, you can not tell yourself the overcoming points that you know you have to transcend. So there's this other multidimensional mirror that you call an obsessor. Just notice that to listen with love work gratitude, first between gratitude, which will make you actually open your ears to receiving what is being brought to you. This opening is only when you put your ego aside. When you decide to look at what you do not want to see. Thank you for having the possibility of this feature that shows you your points to be overcome as so many of you go through various incarnations repeating constraints and patterns because you can not detach yourself from the mental pattern that holds you to the ego and prevents you from seeing such restraints . Start practicing hooponopono. Repeat daily for 21 days, learn to nurture the feeling of gratitude. Daughter, and the interpretation you have of me is the same as you have of what you call an obsessor. Often, those who come to show you the truth are transformed by you into obsessors or evil beings. But that actually just comes to bring light in your walk, showing the road to break free of your restraints and evolve. SHOULD I CONTINUE TO DWELL WITH MY SISTER? Good morning, masters! I want to thank Mestre Serapis Bey for the last answer, he helped me very, very much and today I would like to know if I should continue to live with my sister, because I have always lived alone and I adore, but today she lives with me. And sometimes I feel I should go on alone, what do you guys tell me? Once again grateful for this great opportunity! Dear sister, ask your heart what attracts you. It is not covered by creating obligations that exist only in the material dimension and which are created by the mind. Get rid of guilt and charge and look into your heart. Find out if something will really change if you live with your sister or alone. Dear daughter, if you look into yourself, it will not matter to be with your sister in the same home or not. It will only import the truth you find in yourself. And that will suffice. The external search will cease. Try to look within yourself, feel what is your true identity, your search. Feel the radiance of your own light. You will realize that the question of whether or not to live with your sister will only make sense to you, because you will realize that it just does not matter. Go on your walk, but stay connected to yourself and free of external distractions. That way you'll be on the right track, my dear. HOW TO CREATE PLENTY IN MY LIFE? I am very happy to be here now, I thank immensely my way here, many battles, many fights, but a lot of learning as well. But Beloved, at this moment a doubt plunges me, I am having difficulty co-creating, I am having difficulty getting abundance back into my life, I have been unemployed for seven months and I do not want to return to old energy, but I can not realize yet how I can co-create abundance in the new energy, I really do not know what to think or do I have received yes, a lot of help, many wonderful synchronicities are occurring in my life, but I can not feel full and happy. I have practiced meditation daily, done all that my limited mind has learned over the years with you. I have a project to create Therapies workshops to help people, when I think about it I find myself helping other people, but I still have to have some limiting belief that I have not been able to detect. I've been trying to get the answers inside of me, but unfortunately, I cannot. So, I ask you to help me understand what is happening in my life right now. Greetings, sister. You are trying to co-create with the mind, but the creative energy is not in your logic but in your heart. For it attracts everything in your life, not from what you want, but from what you feel. What holds you back is the fear of not being able, of not being able to perform. It needs to anchor the self-confidence of again considering the eyes of people with sincerity of heart. This is the way, my daughter, to raise my head and feel capable of everything, of things that are unimaginable, of what I never imagined it would be. You have great ease in learning, but you need to unlock that in yourself. You need to trust. This is what does not allow you to attract into your life, your own ability to perform what you need to live more smoothly. And that's what you need to learn. By changing your thinking pattern, you will change your attitude and everything will open to you. Try to learn new things, something you think you are not capable of, and convince yourself that you are, that you can, and that you have the capacity for much more. As you open to it, you will discover new opportunities, and then you may have new activities more attuned to your energy. Seek your wisdom and open yourself to new and unimaginable perspectives. Look for the challenge, for the new. Challenge yourself and then you will see what you are capable of. Be sure of that. Deep gratitude to the Masters and gentle channellers. I put a question about my love life for at least three weeks, and got no answer. I do not know if it was received or if you are late for some reason. However, some things have already happened in my love life. I ended up deciding to stay away from a man I had been with for almost a year. However, the process is painful and the homesickness is many. I would like a clarification on this situation. Some Masters state that when the relationship does not satisfy at various levels, it is best to go in another direction and abandon the relationship that does not satisfy. However, the process is painful and the homesickness lead to advances and retreats. On the other hand, there has been another person in my life who arouses curiosity and interest, but who lives so far from my area of ​​residence that I think it is difficult to begin a relationship with these limitations. I'm lost and confused. I would love to have some words of guidance from the beloved Masters. Gratitude! Daughter, search for an answer in another person, when what you would like, would be to meet. You do not realize that you will always be seeking and no matter how you find a person that corresponds to you, that search will not cease within you, because you still do not feel complete in yourself. What you feel, daughter, deep down is not love, but it is fear of being alone, of not feeling well for what it is and believes that it must be with someone who brings you this completeness. But, you will only feel complete when it is enough in you, then you will no longer feel the pain of the end of a relationship, nor doubt whether to start a new one. Your life will be the natural flow, not afraid to be good for yourself, but accepting what life gives you with confidence and knowing that you will be fine anyway. It will anchor this feeling when perceiving the life connected to everything, in union with the All. This feeling is what will bring you this inner completeness, where you will detach yourself from suffering and be happy. You will find happiness in yourself and then you can relate freely, with lightness and love, giving and opening to receive the best of a relationship. That is your purpose, daughter. Being that enough love will overflow and you can live relationships in a gentle and peaceful way. Messengers: Thiago Strapasson and Michele Martini - May 2017.